I couldn’t be happier to be Finn! This small, only five million people, country includes so many privileges which we consider self-evident. For example free education, partly free health care, clear water from the tap and of course one of the safest country on Earth. What else can you even add on that sort of list? I think with those privileges Finland is the best country to live in! Other thing that makes me happy as being a Finn is our beautiful nature which I appreciate way too rarely. 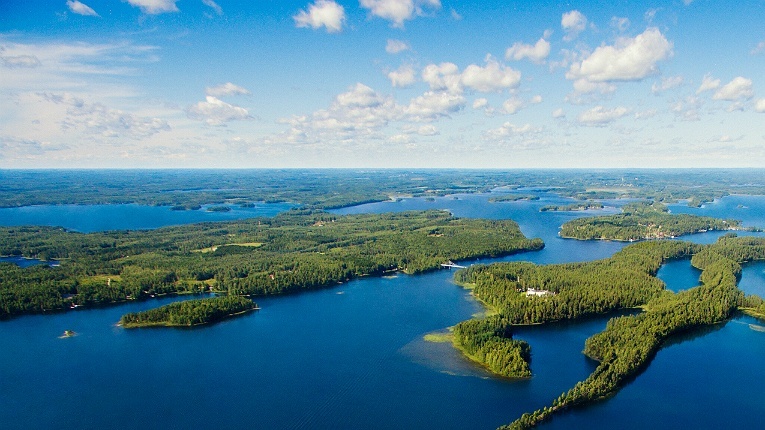 Greatest way to enjoy Finland’s summer is to go to archipelago. In a sunny and warm summer day this is the best way to see the most beautiful side of Finland, in my opinion. A lot of Finns enjoys summer in their summer cottages where they relax and get themselves ready for the cold and dark autumn. In my opinion Finns aren’t as introverted as usually told. I think we are pretty warm-hearted, kind and helpful. If people just dare to ask for help they will get some even from the coldest persons in Finland. Nowadays younger people are more likely to have some small talk with random persons than the older generation. Finns have improved their social skills a lot from the past. As a good example could be all those crazy events Finns are arranging all around the Finland! 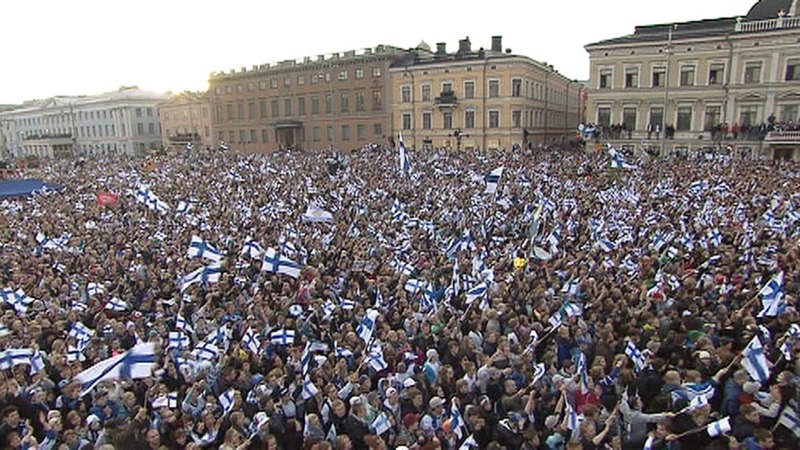 In the picture Finns are celebrating ice-hockey gold medal from 2011 World Championship tournament! Three things come to mind when you start thinking “what I consider as Finnish?” First and foremost, northern nature. Nature has always been a big part of Finland and Finnishness, it provided for our ancestors and still does to this date! Second thing, this one is only in Finland as far as I know, that comes to mind is Sisu. It is an attitude, a way of living and doing things, and in my books, one the most Finnish things there is. And last but not least is of course Sauna. It is strange how important sauna is for Finnish people, but history plays a big part in this too. Sauna was and is the place to relax, when massagers used to go from door to door, the treatment was done in the sauna. People gave birth in saunas as well! As I have been travelling, I have noticed that I appreciate Finland in certain things more and more as the years go by. These three things are equality, education and solidarity. Finland is a model country when gender equality is concerned, we have one the most sophisticated schooling systems, and every one is given the opportunity to use their potential to full. I mean, I call Finland a safe haven for a reason. Finnishness describes the culture and identity of Finns. It can mean a lot of things but there are a few that stand out to me. Here are a few points on these matters and what I think of them. Honesty is a practice that I feel Finnish people master. Either way looking at it from a positive or a negative perspective. It can be seen in different aspects of a Finn’s everyday life and attitude. For example, if they have an appointment, they are on time. You can depend 100 % on what they say is honest. Also, they get straight to the point when talking and that’s why they don’t have the skill of small talk. On the other hand, the prospect of freedom is seen in few examples. When considering rights and laws for instance Finnish have the “every man’s right” which means we are allowed to roam freely in the forests. Then looking at it from a social perspective, in Finland you are free to be whatever you desire. No need to fit in a hierarchy system. Also, the social security helps with everyone being able to achieve their freedom by themselves and not being held down by their past or history. Lastly the classic word connected to Finnishness, Sisu. It translates to e.g. resilience, bravery, and grit. It is something we have seen throughout history, say in wars and athletics, but also just in everyday life. You can also say it’s how Finns fight through the dark and cold winters including the polar nights.